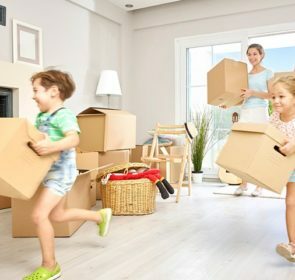 Whether you are moving house on your own or are hiring a company to deal with the intricacies of moving, you’ll need packing supplies. In any move, you’ll need to pack your items, which means you’re going to need the right materials. Learn about the costs, types, and alternatives on this page. How much do packing supplies cost? Packing supplies are available in several places so prices can vary greatly depending on where you purchase them. For example, you can easily find boxes for moving from supermarkets or office supply shops, which tend to be cheaper than those that removal companies offer. However, the quality and availability of these materials also affect the price. Buy packing supplies from a professional moving company and you know the boxes and blankets are purpose-made for moving. You’ll need materials that will safely and effectively hold your prized possessions, so in some cases, the price may be worth it. The following table shows the average prices for packing supplies. 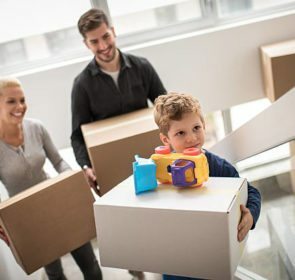 In addition to lowering your expenses for packing supplies, comparing multiple removal companies will also ensure you find the right price for your move. Shop around for the best prices on removals and packing supplies by reaching out to 6 movers in your area. It takes just 1 minute of your time and you’re not pressured to accept any offers unless you’re completely satisfied. What are the most common packing materials? When packing your belongings, the number 1 priority is that your items are packed properly so that they won’t be damaged. There are several packing supplies that work great for keeping your items safe throughout the journey. We go through the types here. Boxes are the most ubiquitous of moving supplies, and the most important. You can’t finish packing if you don’t have any containers to hold your items. In most cases, you’ll probably use corrugated cardboard boxes. However, you should also consider using non-cardboard options such as plastic containers. 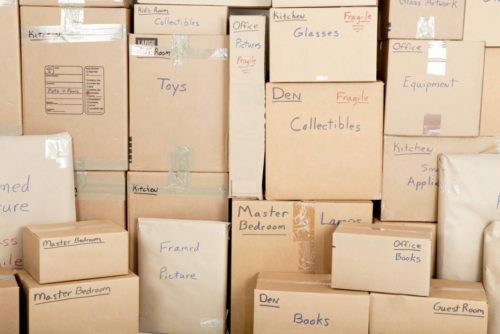 Moving boxes come in several shapes and sizes and are easily stackable, making them ideal when moving house. Depending on the amount and kinds of items you have, you’ll need a wide assortment of different sizes, ranging from a few large moving house boxes to plenty of smaller ones. There are also special boxes made for specific items, such as clothes and fragile items. Wardrobe boxes are tall and have a rail inside so you can simply hang your clothes, close up the box, and easily transport them. Dish boxes are divided into sections for plates and glassware. And boxes for art or mirrors have special foam pads for extra protection. You might think that placing your items inside boxes is enough. However, without covering them with a protective layer, you’ll quickly find that your items will be damaged or broken. This is where wrapping materials come in. There are several types of wrapping materials to protect your fragile belongings. Packing paper is great for wrapping small items or crumpling up as padding. They won’t leave any marks so you are able to use them for even delicate items. Bubble wrap is another way of adding padding to protect your prized possessions. Plastic or shrink wrap don’t really add a layer of protection but are great for preventing things from moving too much. They also keep dust and dirt away from your items. Finally, moving blankets are the most effective way to protect larger items such as furniture and appliances. They prevent any scratches or dents, once your items are completely and properly wrapped. Other items you’ll need are packing tape, labels, scissors or packing knife, and pens and markers. Good quality tape is incredibly useful since you should tape all boxes shut. Reinforce the bottom of your boxes with tape as well to make sure nothing is broken. Labelling your moving boxes might seem unnecessary. However, by labelling everything, it’ll be much easier to keep track of your items. You’ll know which room each box goes into as well as the contents of each box, helping you stay more organised and efficient during your move. 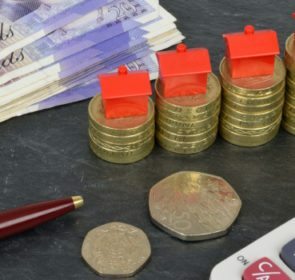 Moving house, with the price of a removals company and the actual cost of your new home, is very expensive. So much so that you’re probably looking for ways to save money anywhere you can. Luckily, there are savings available if you look for packing supplies from alternative sources. Here are a few tips on alternative packing materials. Take a look around your home and you’ll probably find that you already have plenty of moving containers. If you can put things inside of it, then you can use it when packing. Use baskets for clothes, linens, and other soft items for easy transport. Some drawers can be pulled out with their contents—just cover them with plastic wrap as a lid. Also, make use of any bags you own. Duffel bags are great for clothes and items from bedrooms while sealable bags are perfect for smaller items. Use bin bags over hung clothing for protection while vacuum seal bags help minimise bulkiness. Don’t forget to use suitcases as well since they are ideal for transporting items. If you need extra packing supplies, ask friends, family, and neighbours. They will probably have unused boxes lying around so be sure to ask them if they have any spare. If they have recently moved, they might even have leftover moving boxes, packing paper, or packing tape. If not, ask them to lend you a few non-disposable containers if needed. These can be anything from a few baskets to plastic containers. Just make sure to return these items once you have finished moving. Another great source of free packing supplies is shops and businesses in your area. Instead of purchasing boxes from moving companies or office supply shops, go to local shops or supermarkets and ask for any cardboard boxes they aren’t using. Usually, these just get tossed into the bin, so they should be more than happy to offload some boxes to you. Also, try asking your workplace if you are able to take a few boxes for your move. Chances are, there are a few empty boxes lying around that you can use. The big downside to packing supplies is that they are quite wasteful. Once you have moved into your new home, you’ll most likely throw away all the cardboard boxes, bubble wrap, wrapping paper, and packing tape. Because of the large amount of rubbish, it’s better to choose packing supplies that you can reuse. Find plastic containers that also act as additional storage later on. If you have boxes made of recycled materials, even better. For wrapping materials, use blankets, bed sheets, towels, and clothing. They are just as effective as wrapping paper or bubble wrap, just without the waste. Finally, a cheaper alternative to wrapping paper is old newspaper and magazines that are recyclable. Ready to start packing? Then it’s time to find packing supplies for your move. Instead of just accepting the offers from the first removal company you see, take some time to look for alternative packing materials. Also, ask multiple moving companies to view and compare their prices. Our form is quick, easy, and absolutely free.